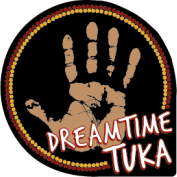 Dreamtime Tuka is focussed on delivering quantity orders to the Corporate market. Bulk supplies of our products will be quoted on enquiry. and supply of large numbers are ensured. Dreamtime Tuka Biscuits offer a gourmet treat for your clients at a reasonable price. These are available in single or double portions, variety or assortment packets. Bulk Coffee is supplied in all varieties for the retailer, caterer etc. Individual serves of our coffee range are available in bulk quantities.